There is not, nor can there ever be, a definitive history of ballet. Made up of so many personalities with their diffuse interactions and influences such a history will always grow richer but will never reach maturity. Sir Peter Wright’s memoirs, Wrights and Wrongs, subtitled My Life in Dance, is a case in point. In Jennifer Homans’ Apollo’s Angels, subtitled A History of Ballet, published in 2010, there is no mention of Wright, yet for the last 70 years he has been involved in so many ways in the key stages of the development of classical ballet in this country. Perhaps Wright by his own admission has blended so tenaciously into the fabric of those years that it is difficult to see the man for the material; he wistfully recalls being described as the best director The Royal Ballet never had. At the same time these memoirs do not set out to shine a spotlight on Wright himself; even with his own proviso that ‘this is primarily an account of my working life…I do not detail much about my family or personal life’, he reveals little about the man whose working life he describes. Nor was he ever especially in the spotlight, preferring to support in his long career key figures like Dame Ninette de Valois, Sir Frederick Ashton, Sir Kenneth MacMillan and John Cranko in a range of roles as dancer, teacher, ballet master, administrator, director and, most significantly, as producer of the classical narrative ballets of which his versions continue to serve the repertoires of ballet companies around the world. What is fascinating is how Wright knew early on that he wanted to dance without having any connection to ballet. His early years were consumed in an effort to discover the door to the world he had sensed; he read about ballet in the school library and improvised movements to music on a gramophone in the gym. He was closer than he at first realised: the wife of his biology teacher had been in Pavlova’s company and offered classes to some of the girls and his music teacher had been a rehearsal pianist for Kurt Joos at Dartington. But it was at the age of 16, after seeing a performance of Les Sylphides by Mona Inglesby’s International Ballet, that he ran away from school to protest his father’s lack of understanding about his chosen calling. Impressed at his determination, his father acquiesced but refused to pay for his training. As Wright states, ‘…the more I am prevented from doing something the more determined I am to achieve it.’ Having failed to win a scholarship to the Sadler’s Wells ballet school, he apprenticed to Joos’s company, learning from him his sense of theatre and that ‘choreography is just as much about ideas as it is about steps.’ Realising two years later he needed more classical training, Wright left Joos to devote himself to classes with Vera Volkova in London before a spell in Victor Gsovsky’s Metropolitan Ballet, musicals, revues and the short-lived St James’s Ballet. It was here he met John Cranko who organized an introduction to Ninette de Valois that led to his entry into the Sadler’s Wells Theatre Ballet which has remained, through its many manifestations and names, his home ever since. ‘Looking back over the training that I mustered for myself during my early years…I do not think I did too badly for a late starter with no money and certain major setbacks — injuries, parental disapproval and military service.’ He must indeed be very fulfilled to have set out with only the light of intuition on a path with so many obstacles that led finally to his goal. It is perhaps not surprising that he is drawn to fairy tales. What is frustrating is how difficult these memoirs are to read. Co-authored with Paul Arrowsmith, the book’s contents are more easily grasped through its extensive index than through its chapter organization. The editing alternates uneasily between discursive conversations and Wright’s own considered texts while the timeline winds forwards, backwards and sideways with a persistent sense of déjà vu. Sentence structure is sometimes awkward and poor proofreading — ‘Marot Fonteyn’ is unforgivable — adds to the level of frustration. 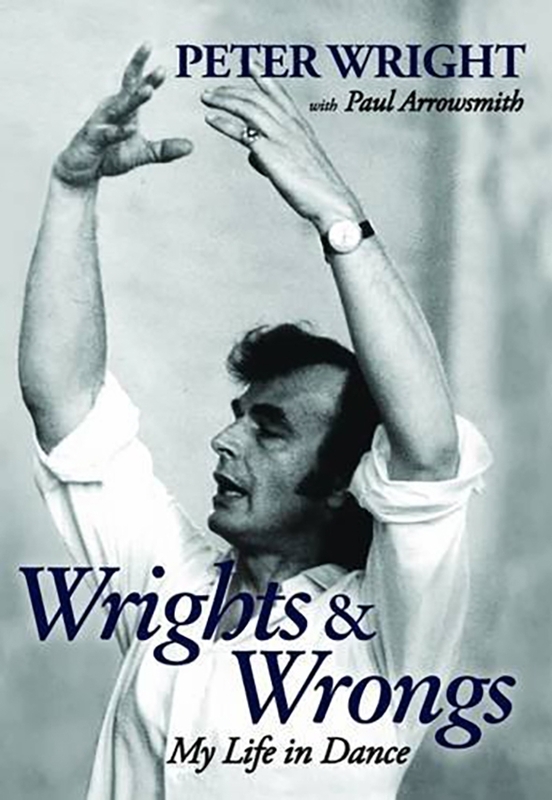 Nevertheless, the value of Wright’s memoirs is to substantiate and add to the complex history of ballet and his comments on the classics, garnered over the last 50 years, form a vital and perceptive account of how to stage them. These in themselves have the makings of a separate book. Wright is humble enough to admit his own failures and his caveats about designers and technical staff are salutary. Despite his close association with The Royal Ballet, Wright’s relationship with Sir Frederick Ashton seems surprisingly bleak and he has little to say about Rudolph Nureyev as a dancer; I sense a lot of the memoirs exist in between the lines but he is harsh on Sylvie Guillem and disagrees on many counts with the treatment of MacMillan’s legacy by his widow, Lady Deborah MacMillan. Given his experience with the classics and his narrative sensibility, his lack of enthusiasm for the work of Wayne McGregor comes as no surprise, neither is his strong support for David Bintley and Christopher Wheeldon as choreographers with the ability to carry forward the tradition of the classics and of classical dance that is at the heart of the Royal Ballet’s two companies. So what are the wrongs? One of Wright’s admitted weaknesses is in forgetting, while making a speech, to acknowledge the indispensable contribution of a key player. He preempts a recurrence of this by devoting an entire chapter to a roll call of appreciation for those past and present whose devotion to their own art has helped and inspired him throughout his career. If the memoirs read as program notes to his life work, this is the cast list.